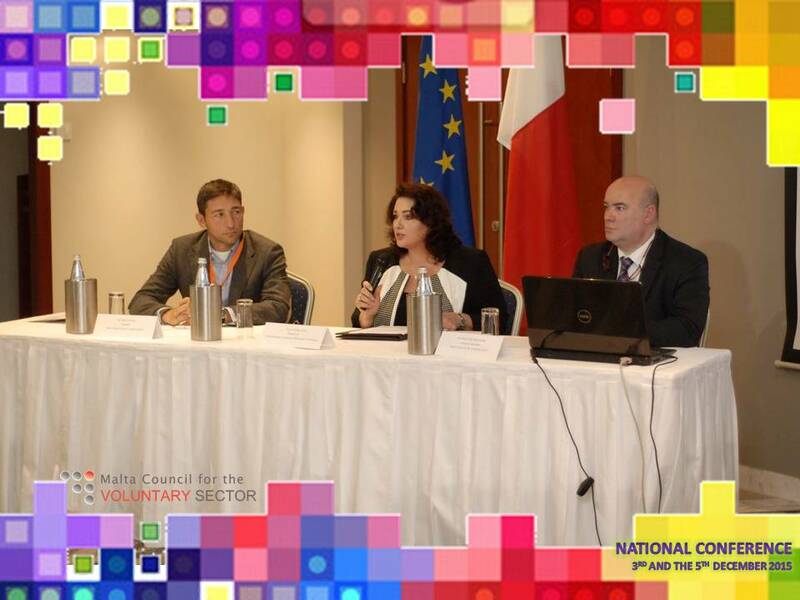 The annual National Training Conference was organised by the Malta Council for the Voluntary Sector between the 3rd and the 5th December 2015 at the Marina Hotel Corinthia Beach Resort, St George’s Bay. 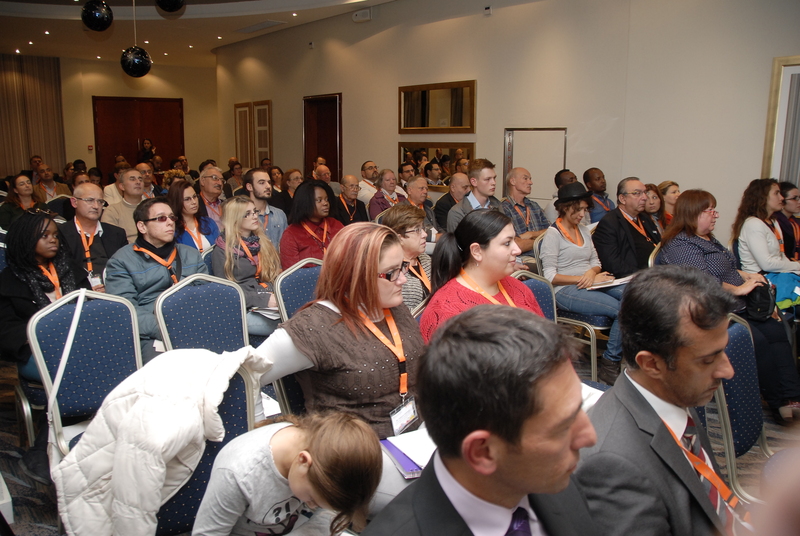 The theme of this year’s conference was “Leadership in the Voluntary Sector”. The first day took off with a welcome address by Mr Nathan Farrugia, Chairperson Malta Council for the Voluntary Sector. This was followed by a plenary session: “Professional Volunteering, How to find and keep volunteers” delivered by Ms Perdita Wingerter, CEO and founder of the NGO “Gemeinsam leben & lernen in Europa” (Living and learning together within Europe). Mr Wingerter was one of two foreign guests who were invited this year to share their experience with the local audience. 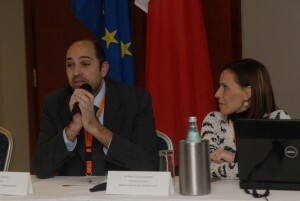 This was followed by a very interesting panel discussion moderated by Mr Mauro Pace Parascandalo. The guests on the panel discussion were Mr Nathan Farrugia, Ms Perdita Wingerter, Dr Vanni Xuereb (Head of MEUSAC), Dr Andrew Azzopardi (Lecturer) and Ms Nora Macelli (CEO St. Jeanne Antide Foundation). 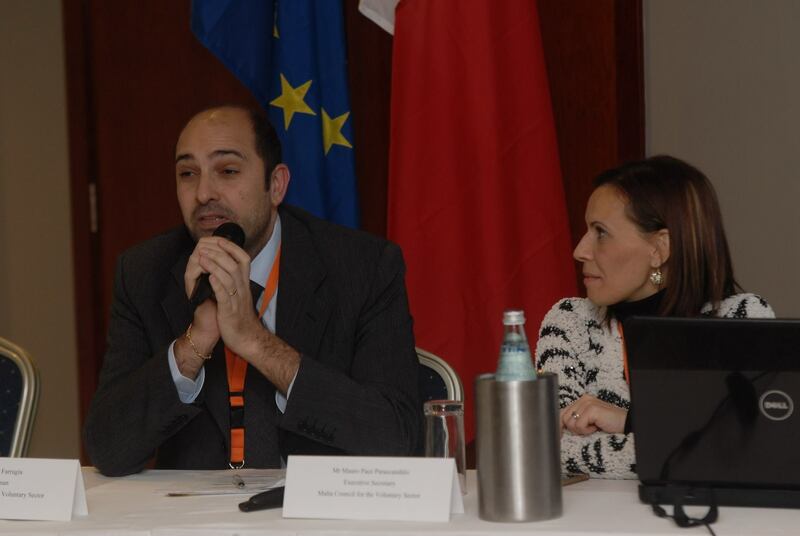 On the second day there was another plenary session: “Challenges in Leading a Voluntary Organisation in today’s world” delivered by the other foreign guest, Mr Mariano Votta, Director of Active Citizenship Network, Italy. This was followed by two sets of workshops. 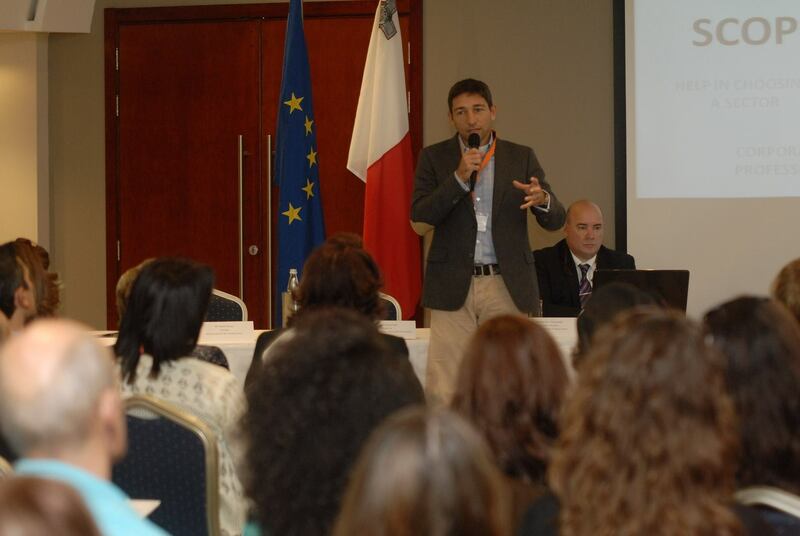 The first set was ‘Communications Strategies in the Voluntary Sector’ delivered by Mr Jesmond Saliba (MISCO), ‘Making finance work for you’ by Mr George Farrugia, and ‘Getting Organisations to collaborate together’ by Mr Mariano Votta. 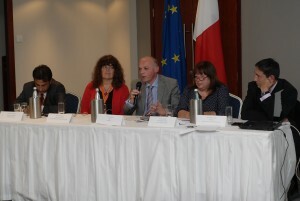 The second set of workshops was ‘Accessing Funding and Training opportunities through EU and Local support’ delivered by Ms Mandy Falzon (Head EU Funding, MEUSAC), ‘Professional Volunteering, How to find and keep volunteers’ by Ms Perdita Wingerter, and ‘Leading and empowering a voluntary workforce’ by Ms Claudia Taylor East (CEO, SOS Malta). The third and final day of the conference started off with a plenary session on Corporate Citizenship for Responsible Enterprises (CORE) delivered by Ms Maria Rauch (CEO, CORE). This was again followed by another two sets of workshops. The first set consisted of ‘Accessing Funding and Training opportunities through EU and Local support’ again delivered by Ms Mandy Falzon, ‘Public speaking’ by Dr Joe Agius, and a CORE networking session by Ms Maria Rauch. The second set consisted of ‘Leading and empowering a voluntary workforce’ by Ms Claudia Taylor East, ‘Making finance work for you’ by Mr George Farrugia and ‘Communications Strategies in the Voluntary Sector’ by Ms Diana Spiteri, Equinox. 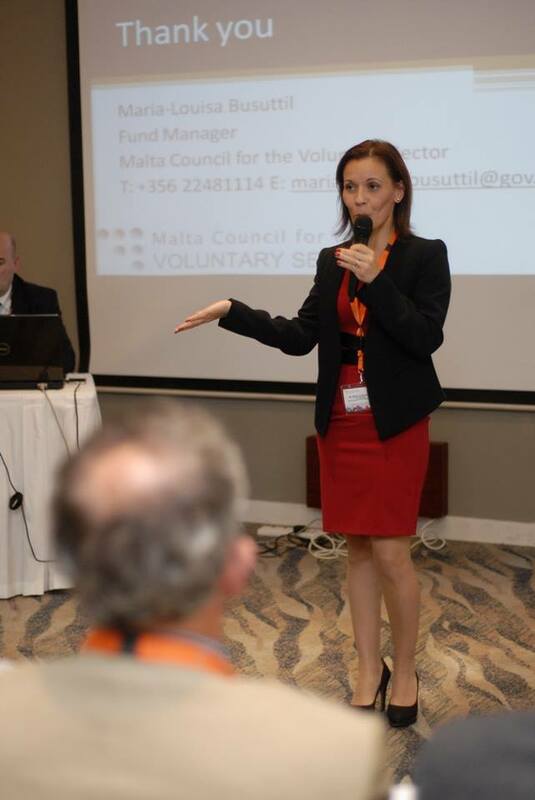 Ms Maria Louisa Busuttil, Fund Manager MCVS presented the new funding line which will be coordinated by MCVS as of January 2016, the Voluntary Organisations Projects Scheme, a fund which will distribute the sum of €700,000. This was followed by an introduction and launch of the awareness Campaign staring off in January 2016 – “Volunteer … make the difference!” which was presented by Mr Nathan Farrugia. The conference was officially closed off by the address of the Hon. Minister Helena Dalli, Minister for Social Dialogue, Consumer Affairs and Civil Liberties.